Ho ho ho, Merry AWOL Christmas! It’s that time of year again: time for family, friends, and gifts under the tree. Thanks to the simplifying powers of Amazon Prime, shopping isn’t as Jingle All The Way as it once was, but there are still a few Christmas conundrums left for us to solve (like, how on earth does Santa gets into homes without chimneys?). 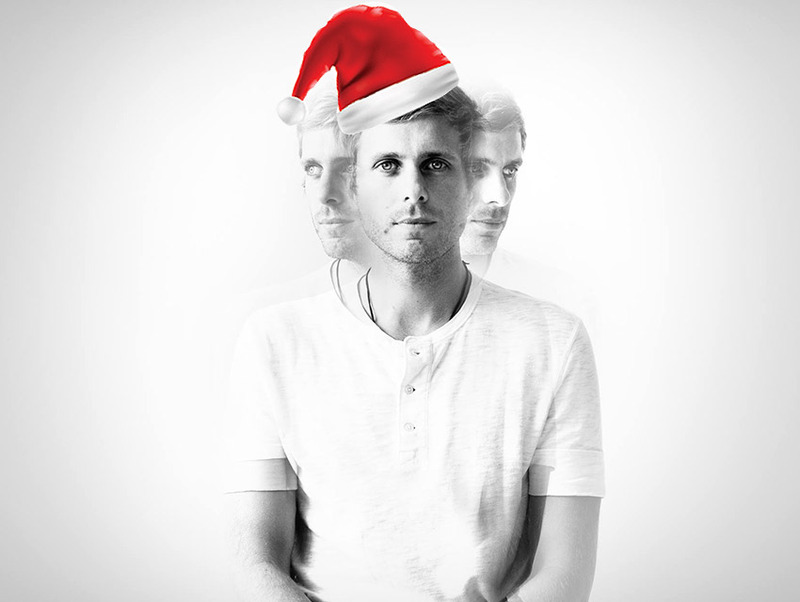 Los Angeles native Aaron Bruno of AWOLNATION helped us work through some Christmas quandaries backstage at KROQ’s Almost Acoustic Christmas. The “Sail” hit-maker also chats about his new album, Run—stocking stuffer, anyone?—and why you might want to listen to it more closely with your right ear. Naughty or nice list this year? Oh, probably a bit of both. Probably the nice list more than the naughty, I hope. In your expert opinion, how do you think Santa delivers presents to homes without chimneys? That’s a problem in major cities. I think he has certain abilities we don’t even know about. He can probably walk through walls, which is interesting. A very L.A. question—what do you think about leaving gluten-free cookies out for Santa? For me, it’d be a vegan raw cookie for Santa Claus to come into my house. We don’t have a chimney, either, so he’d cruise through the wall. I’ve seen him just cruise through the bedroom door. What’s the best vegan cookie? I’m an oatmeal raisin gentleman. Tell Santa I said so. What’s a Christmas tradition that holds meaning for you? The cliché stuff—getting the family together and messing around. Luckily, we have a bunch of nieces and nephews now, so we get on the floor at my sister’s house and watch them wrestle. It’s a jungle gym of kids jumping around, which is great. Takes the pressure off of us kids. It used to be all about us—“When are you going to get married?” “When are you going to have kids?” and this and that. Now that there are kids around, there’s less pressure. Have you ever been on tour on Christmas Day? No, I’ve been lucky enough to get home at the very least the day before, which is the worst day to travel. Actually, the day before Thanksgiving is somehow worse. What was inspiring you as you made your latest album, Run? It’s a follow-up to a breakout, surprise success story for me. A lot of it was digesting what had just happened, wanting to please our fans and cater to the people who put me on the map first before all the success of crossing over to pop. We went back to the core fan base that discovered us before “Sail” became a pop culture phenomenon—even our moms’ friends liked it [laughs]. At the same time, I’m a fan of all genres of music, and I think there’s something for everyone on this record. You wrote and recorded Run almost entirely by yourself, correct? Yeah, it was kind of scary. It wasn’t an ego decision, but it was more that I would just be in the room and know exactly what I wanted it to sound like, so I figured, “Just do it.” On the next record—I love the guys in the band so much—I’d probably have them be more involved. Your music has been everywhere and so many people are familiar with you now, but what’s something people wouldn’t know about AWOLNATION? I’m 80 percent deaf in my left ear. People trip out on that. I was born that way, so I just roll with it. But if you listen to the records in your headphones or your car stereo, I tend to pan my favorite instruments to the right because that’s what I can hear. When I walk into a theater, I always sit just off to the left so I can hear more with my good ear. It’s funny, though, my wife still talks into my left ear. When I go to sleep with my right ear to the pillow, I can’t hear anything. It’s like having an earplug. So, if someone is talking to me and I don’t care what they’re saying, I can just sit with my left ear to them [laughs]. The song “Woman Woman” is the next single. I’m doing a video for that in the next two weeks, and I also have a band named IRONTOM that I’m producing. Their EP will come out some time next year and we’ll bring them on tour, as well.